There is nothing worse than travelling somewhere and not having enough mirrors, or even any mirrors when you get there. I’ve been away a couple of times this year, and the Magic Mirror has come in so handy, I love it! 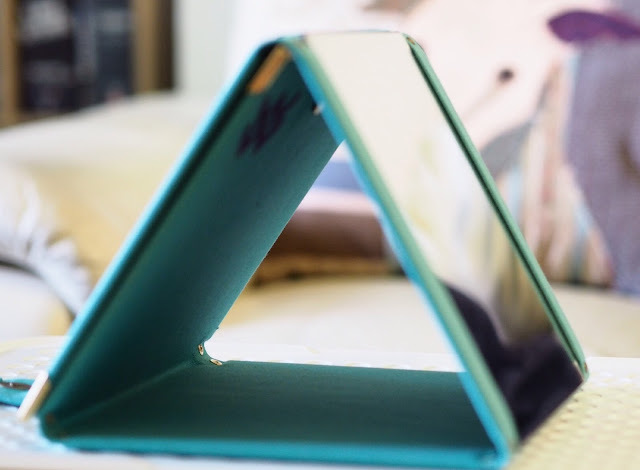 There’s nothing new, really, about folding mirrors for travel, but this beats normal “travel” mirrors hands down because of its versatility, and the fact that it’s both unbreakable (the mirrors are made of plastic) and it’s a *real* mirror. Fabulous! Reflections are clear and undistorted, and I genuinely couldn’t tell they weren’t “real” glass mirrors till I tapped them with a fingernail. You can hang it up for a full-length mirror – mine is permanently on display in my hallway when it’s not travelling with me. 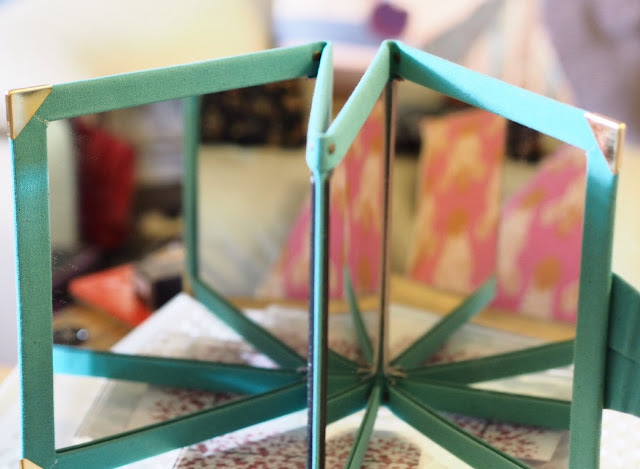 You can fold it into a three-sided square and use it as a dressing-table mirror. 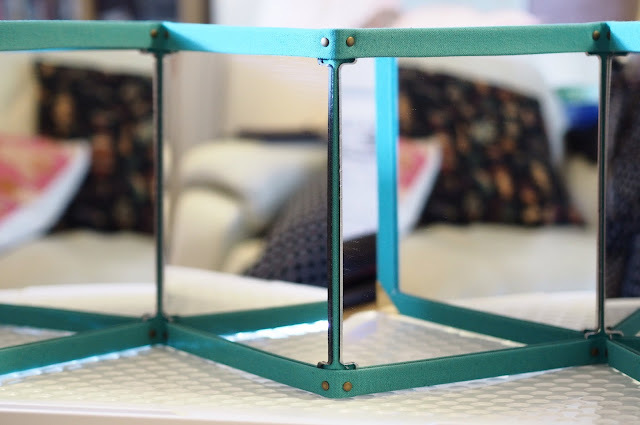 It’s not quite as light as a plastic-framed mirror would be, but it’s exceptionally well made, and I’ve carried it in both my hold and hand luggage and it’s not suffered any damage at all. The fabric surround is flexible and tough, I’ve managed not to stain it with anything, so I’ve no idea how cleanable it is, I’m afraid! 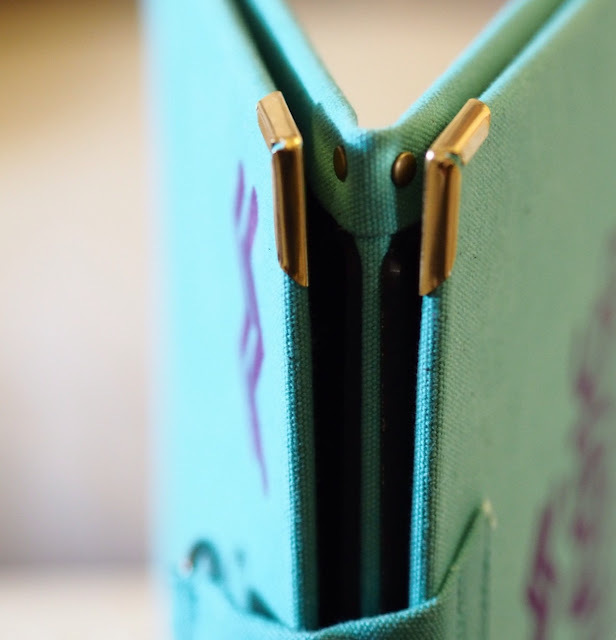 It doesn’t look like it’ll be prone to fraying though, it being a light but tough canvas-style fabric. 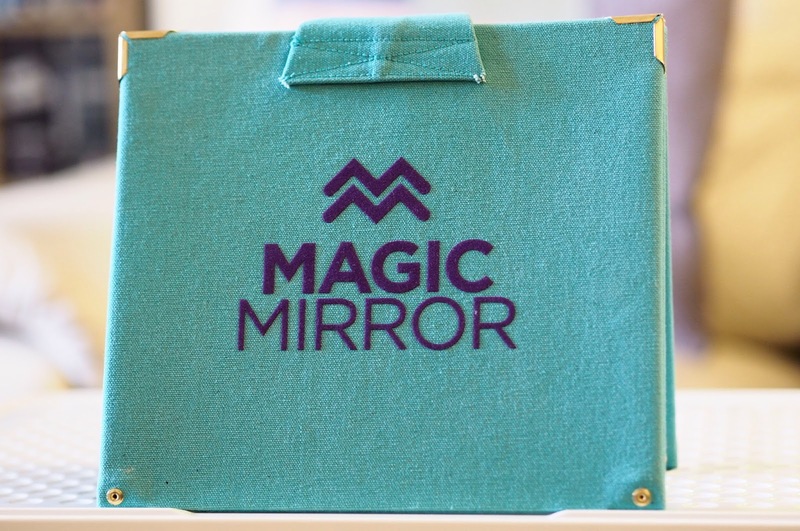 Magic Mirror is a UK startup business, and I love to support those particularly when the product is as good as this one is, and at such a good price! 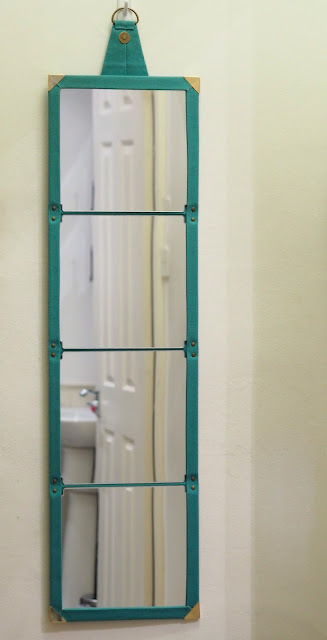 The mirrors are £35, which is great value when you consider that a single glass mirror of a similar size of just one of the panes in this would cost around the same amount from the likes of John Lewis, and here you actually get four of them! It comes in three colours in the “Beauty Edition”, green, pink or black, and there’s a fun “Festival” design as well, which is multicoloured and is currently on offer for only £25. 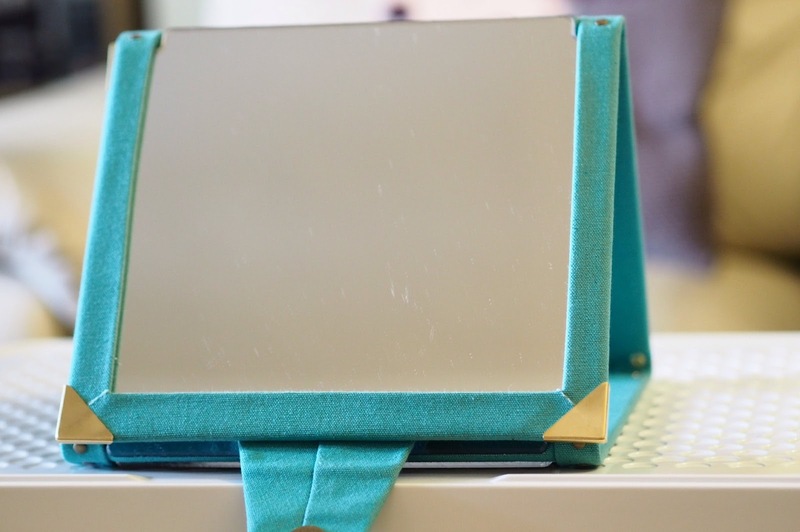 A travel mirror good enough to use as your permanent mirror? Go snap one up! Previous Post Perfume Society Blogger of the Month Giveaway! Next Post The Seven Best Pink Lipsticks In The World Ever.